Bespoke training is a key driver for all of the above. It is required for implementing business processes, improving workforce effectiveness, attract and retain customers and increase the use of information/analytics. Enterprise costs can be reduced when other 4 priorities are addressed. At Edutech, through continuous research in learning theories and methodologies, our learning specialists can help address your key priorities. 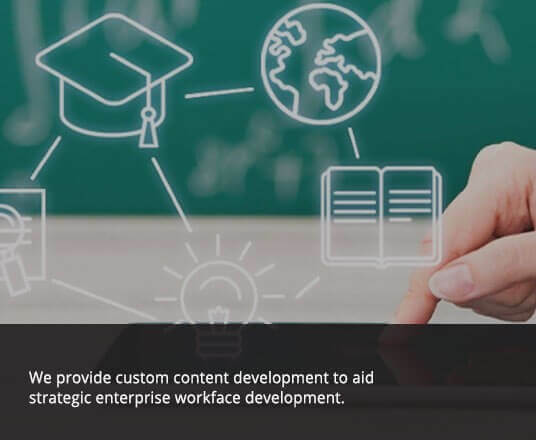 Our strategically customised services include Learning Solutions, eLearning, mLearning, Gamification, ePublising and Learning Technologies.